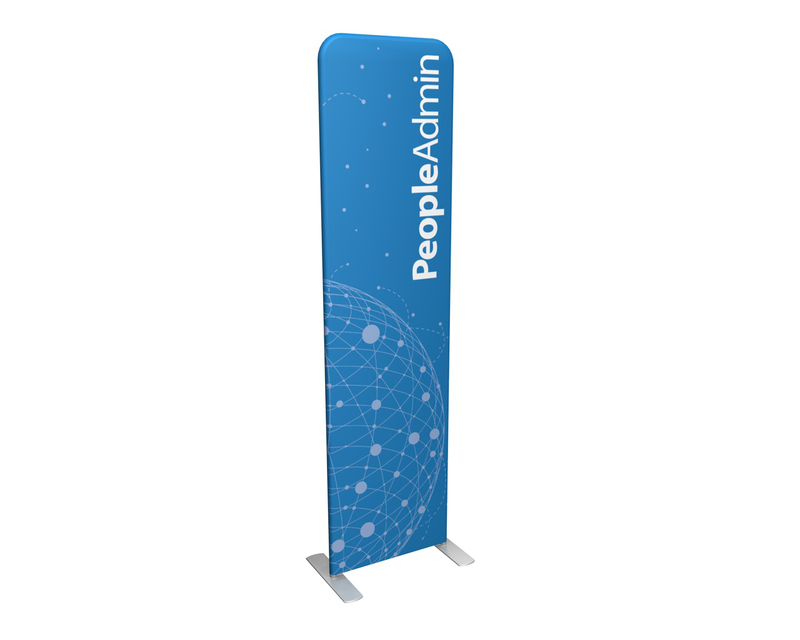 Double-sided fabric graphics, lightweight framing combined with simple setup make the Waveline banner stands invaluable assets. 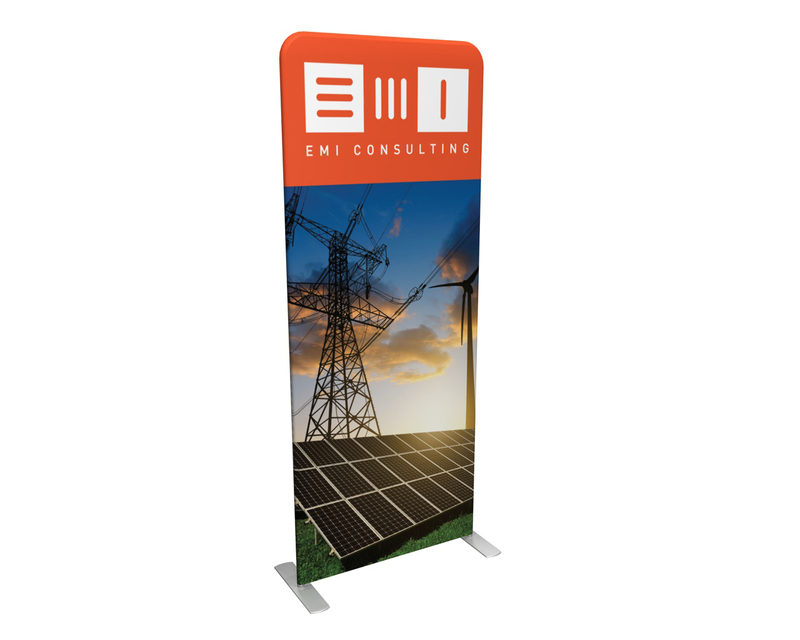 Great for entryways into special events, trade show booths, and also for longer term uses such as promotional marketing in lobbies or atriums with heavy traffic. The aluminum frame provides stability and durability. The tension fabric graphics slip and stretch over the sturdy, leightweight frame providing a wrinkle-free visual. 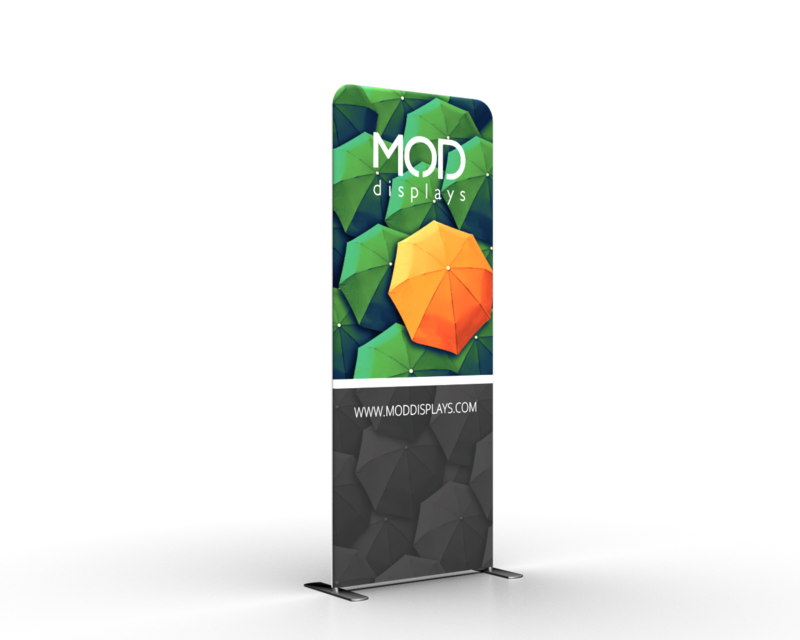 These banner stands can easily be printed double-sided for increased visibility. Graphics are machine washable for longevity. 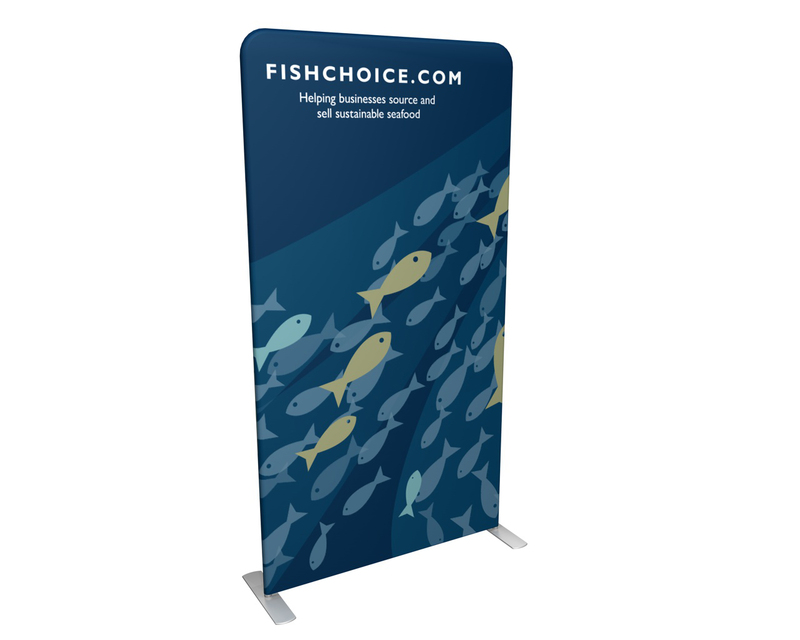 With a variety of widths, tension fabric stands offer opportunity for varied messages depending on the space.